As leaders in the early care and education community, CEC staff members participate in community activities that promote the improvement of programs for children and advocate for children and families. Last week, the CEC’s program directors attended the local child care resource and referral agency’s annual Policy Maker’s Breakfast in order to network with education and business leaders, as well as local and state politicians. At events like this, we receive updates about legislation and budget considerations that not only impact the early childhood profession but also teachers, education, family systems, and regulations, which we then share with our teachers. 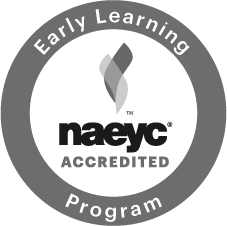 Being aware of social and community issues and engaging in advocacy are important in our field and are part of NAEYC accreditation criteria. This year’s event celebrated the numerous contributions made by Assemblyman Chris Holden (District 41) to advance legislation that positively impacts children, families, and the community. Notably, he has authored and supported legislation that protects individuals with developmental disabilities, supports education and foster youth, and advocates for the homeless, as well as matters concerning employment and business development. Assemblyman Holden’s district stretches from Pasadena to Upland and includes the communities of Altadena, Claremont, La Verne, Monrovia, Rancho Cucamonga, San Dimas, Sierra Madre, and South Pasadena. Prior to his election to the Assembly, Holden served 24 years as a Pasadena City Councilmember and Mayor. He was the youngest City Councilmember at age 28 and only the second African American to serve as Mayor. Additional speakers at the event included CEC alum parent, Senator Anthony Portantino, Assemblyman Ed Chau, and Pasadena Mayor Terry Tornek. Each year we happily share information about the Campaign for a Commercial Free Childhood’s Screen Free Week. Research from organizations such as the American Academy of Pediatrics and the National Association for the Education of Young Children are informing us of just how concerning the overuse of screen media and imbedded advertising can detrimentally impact children’s health, cognitive development and socialization. The Infant, Toddler and Preschool program will be closed for children on Friday, April 20th to allow the teachers and directors to attend the California Association for the Education of Young Children’s annual state conference in Pasadena. In addition, numerous staff will be attending the Leadership Day earlier in the week. We look forward to an enriching learning experience as well the opportunity for our teachers to engage with others in the early childhood field by attending workshops on curriculum, health and safety, child development, leadership, advocacy, and more. CEC staff will be presenting several of these workshops. Professional development opportunities provide our staff with up-to-date research and information regarding best practices and serve as inspiration as we continue to innovate and advance our understanding and our daily work with children. The CEC’s Philosophy…Did You Know? The CEC’s philosophy of holistic care and learning is based on the life works of numerous theorists in the field of psychology and education. In order to share the heart of our approach and its value to children’s development, I will periodically provide information through this newsletter about theorists and the implications of their work in our daily practice. I hope this information will help you understand the theoretical foundations of our philosophy more fully. As always, Ellen, Erinn, Allegra and Talar are delighted to talk with you about child development and how the CEC’s approach, practices and curriculum enhance children’s learning and healthy psychological development. Jean Piaget (1896 to 1980) was a Swiss developmental psychologist and philosopher. His studies of learning in young children led to the development of the constructivist theory of knowledge. This linking of human experience, behavior patterns, and learning has had a major impact on education theory. Read here for more details about his life and body of work. Do you know or recognize the terms "conservation," "schemas," "sensorimotor," "preoperational," "concrete operational," "formal operations"? Read more. The Spring Used Clothing & Toy Sale Is Here! It is time for the Spring CEC Used Clothing, Toys, and Books Sale! The CEC's Parent Council will host this opportunity to purchase donated children's clothing, toys and books for bargain prices. For the previous 2016-2017 school year, 100% of the End-of-Year parties were funded by monies raised by this sale. What a great way to easily and efficiently drive this tradition. It is also a great way to clean out your closets! Please bring your gently used children's clothes, shoes, maternity wear, toys and children's books to the Oak Grove site's Whale Room (multi-purpose room) or main office starting Monday, March 19th. The last day for donation with be Mar. 30th. There are many great opportunities to earn Parent Participation hours by sorting the clothes, setting up for the sale, staffing during the sale hours and clean-up. Each year, the Directors and Board of Trustees of the CEC acknowledge our loving and dedicated staff by declaring a week for staff appreciation. This year, we will once again ask parents to join us in celebrating our staff members by bringing flowers and notes of appreciation throughout the week. Banners: Your group's Room Parents (or Site Directors for the School-Age Program) will be taking the lead on making a celebratory banner to be hung in the room, ready to welcome the staff on the first day of the Staff Appreciation Week. If you would like to participate in making the banner, please contact your Room Parents or a School-Age Director. Staff Lunch: The CEC will be providing a special luncheon for all staff on Friday, March 9. A small gift will also be given to each staff member. Good Morning and Welcome! What a glorious day --- we are so happy each of you is here this morning, and we’re enthusiastic about spending the day together! My name is Elyssa Nelson, and I have the privilege of serving as the Executive Director of the Child Educational Center. The Outdoor Classroom Project is a central and mission-specific initiative of this organization. This is our 20th conference, and interest in the outdoor classroom principles and practices across the ECE field has grown exponentially in the 14 years since we began the Project. In fact, the outdoor classroom movement has not only gained great momentum, but it has matured and has truly begun to change the larger landscape of early childhood education. By virtue of your presence and active engagement today, you are part of this growing educational community committed to connecting children to the natural world and your presence is highly valued and needed. You each have a critical contribution to make, and many of you are already leaders in this movement. We have some wonderful presenters and workshops here today to stimulate, provoke reflection, and support you in your professional journey. Some of you have been part of this journey with the Outdoor Classroom Project since 2003, and many of you are joining us here for the first time. Today, we stand on the strength of accomplishment that many have contributed over this period of time. We are fueled and inspired by the growth and expansion that has taken place here in California, all over the United States, and the world. This year, we have chosen to focus on the Whole Child. This includes the social, emotional, creative, cognitive, and physical aspects of development, and also the spirit of the child and synergistic force that flows through and connects all these aspects in a further, unique way. I believe the best way to free the child’s potential is through a holistic approach that recognizes and honors all aspects of development and their synergistic connection. This includes plenty of time in nature-based outdoor classrooms which naturally promote the experience of inter- and inner-connectedness and, with highly engaged teachers, naturally support Whole Child development in all domains. Currently, there is much focus on STEM and STEAM in early childhood. This is great since these are important areas of knowledge. At the same time, there is an increasing concern about the increased pressure on children in education and their subsequent psychological well-being. A whole-child perspective addresses the STEM, STEAM, and the full range of developmental and educational needs of children while also recognizing and honoring the greater connection and synergy of all these facets of human expression. Current holistic leaders draw heavily on the work of Maria Montessori, Frederic Froebel, Rudolf Steiner, and others. Despite differences in terminology, emphasis, and educational technique, these educators asserted that the developing person unfolds from within, guided by an internal creative force. For them, education meant what its Latin root suggests: a leading out or drawing forth of life energies and personal potentials that exist within the individual. The purpose of education, according to the holistic thinkers, is to nourish the growth of every person’s intellectual, emotional, social, physical, artistic, and spiritual potentials. It does not focus on determining which facts or skills adults should teach children, but on creating a learning environment that will stimulate the growing person’s creative and inquisitive engagement in the world. In order to thrive, human beings need to act from an inner sense of wholeness; the natural world is the perfect environment for learning to cultivate this capacity. In a very personal way, the time in nature can reveal deeper connections within ourselves and bring a profound experience of peace, calm, and strength. Take a moment to think about an experience you’ve had. Perhaps it was recently or long ago when you were outdoors in nature and experiencing the sky and clouds, or maybe a beautiful flower, the changing colors and characteristics of the seasons, the breeze in the trees or on your face, weeding in your garden, observing intricate patterns on a leaf, observing the behavior of a bug, taking in a vista. The rest of the world just melts away for those moments, and they restore your natural balance and sense of wholeness! 13 of our 70 Demonstration Site Network centers are represented by 51 people. I hope for and encourage a tremendous amount of meaningful sharing and learning in the workshops from each of you. In our gathering together and collaboration, sharing and learning, and reaching out to each other in heartfelt ways, we find our greatest strength, expanding capacity, our own authentic selves and our wholeness. In claiming our wholeness, we have it to offer children. Your presence, action, and the continuing expansion of interest in the outdoor classroom movement give us great optimism that an increasing number of children will have the opportunity to grow up healthy and with a deep sense of well-being, wholeness, and identification with the natural world.